Will this buff up your DVD collection? Although Blu-ray grabs all the headlines these days, people still buy DVDs – and they still buy DVD players. But with brands like Philips, Toshiba and Samsung selling upscaling decks for as little as £40, what's so special about Onkyo's DV-SP406 that it retails for £100? In short: performance. The DV-SP406 delivers glitch-free upscaled images with clarity and sharpness, and takes fast-moving scenes in its stride. Colour reproduction seems natural too. Compare this with a budget deck from five years ago and you'll be flabbergasted. Upscaling via HDMI brings definite noticeable benefits, particularly in terms of picture sharpness with resolutions from 576i to 1080p are provided, though it can takes a while to cycle through them. The front-mounted USB port provides MP3, WMA, DiVX and JPEG support and it's simply a question of jacking in, and navigating around the simple-to-use GUI. The Onkyo's build quality – particularly the bouncy disc-tray – can perhaps be expected because of its 'budget' price, but that doesn't excuse the bland styling and almost miniscule display. 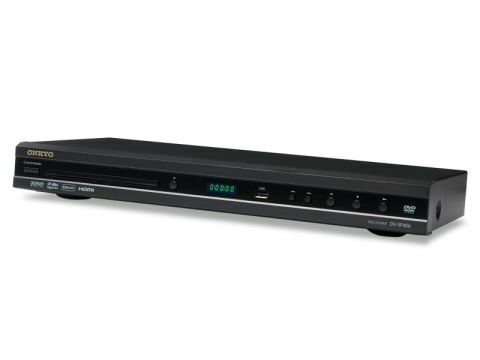 Toshiba's XDE-powered DVD player is not much more expensive and outdoes the Onkyo in pure picture performance terms.